‘Faraja’ is a Swahili word meaning ‘comfort.’ The Faraja Community Centre serves the most vulnerable children, youth and adults in Chogoria, in eastern Kenya. We create hope by protecting, feeding, loving and equipping for a better quality of life. Faraja provides nutritious meals to vulnerable children and support to families challenged by food scarcity. Seeing children in our community suffering from malnutrition drove our founders to build the centre in 2002 and start the feeding program in 2003. Every Saturday you will find the Faraja Centre full of children, eating a hearty and nutritious meal, enjoying playtime and learning practical health and life skills. This weekly event provides insights into the specific needs of each child and their families so Faraja can offer support where needed. Faraja trains and supports children, youth, women and men in skills such as sewing, cooking and sports to provide a sustainable future. Millicent Garama grew up in Chogoria and is devoted to her community. She spent over 30 years as a nurse, midwife and Deputy Matron at Chogoria Hospital and Deputy Director of the Community Health Department. Millicent also worked for eight years with Plan International, travelling far and wide visiting villages to share health education. This vast experience put Millicent in touch with the desperate needs of children and families, which inspired her to start the Faraja Centre in 2003. Her initial mission was to provide a safe and healthy refuge for children. However, her vision quickly expanded to support at-risk youth and adults in remote villages throughout Tharaka Nithi County. Feeling a sense of gratitude after the Chogoria Hospital sponsored her to pursue her Masters Degree in Edinburgh, Scotland, Millicent and Garama personally funded the building of the Centre. 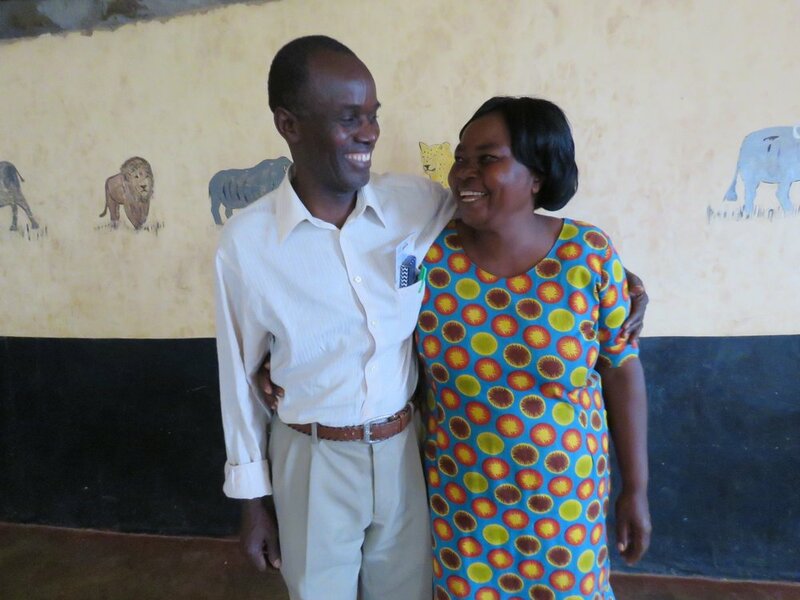 Josphat Garama, husband to Millicent, is equally as passionate about caring for his community. Garama is the Pastor of the Chogoria Baptist Church, with an ever-expanding congregation. The church provides Faraja with an additional connection to the local community, identifying people in need of support. Garama provides much needed love, support and counsel to many of the children and youth in the scattered rural community, where families can often be isolated and lack resources. Before studying theology and becoming a Pastor, Garama spent 30 years working for Kenya’s Ministry of Agriculture and Kenya's Horticulture Exporters. As an expert in agriculture, he travelled throughout the region training farmers in growing flourishing drought-resistant crops.